Add extra excitement to story time! 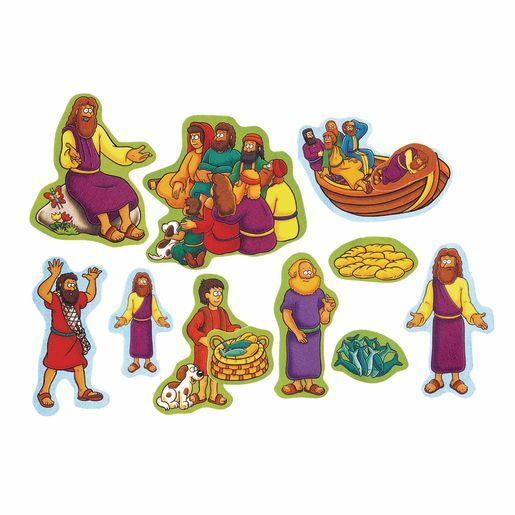 Sets include a collection of felt characters, animals and scenery pieces for interactive retelling of your favorite Bible stories. Felt pieces range from 1 1/2" to 6" in size. Miracles of Jesus set contains 12 Pieces.